This recipe is so simple but gives amazing taste! Gammon is a very popular piece of meat, and cooking it with cola takes it to a different level! 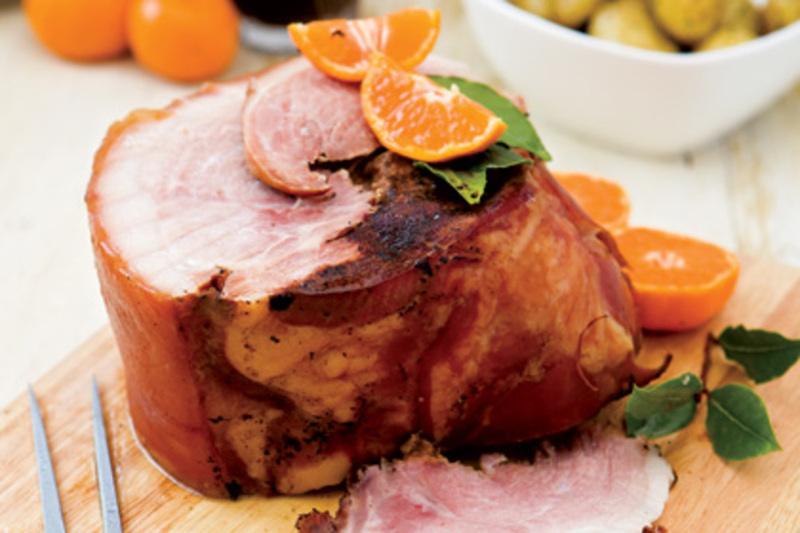 This ham is delicious cold in salads and sandwiches. Place the gammon in the slow cooker and pour over the coke. Cut the oranges in half and add to the slow cooker with the cinnamon stick. Cover with a lid and cook gently for 2 hours. Remove from the coke and place in an ovenproof dish and sprinkle with the sugar. Bake in a preheated oven at 200C, 400F, Gas Mark 6 for 15 - 20 minutes minutes until golden brown. Serve hot carved with seasonal vegetables.